When space is an issue, the Joom Beem 8-Foot Folding Balance Beam is the perfect solution. Get in your young gymnast’s training time without permanently turning valuable space into a gym. 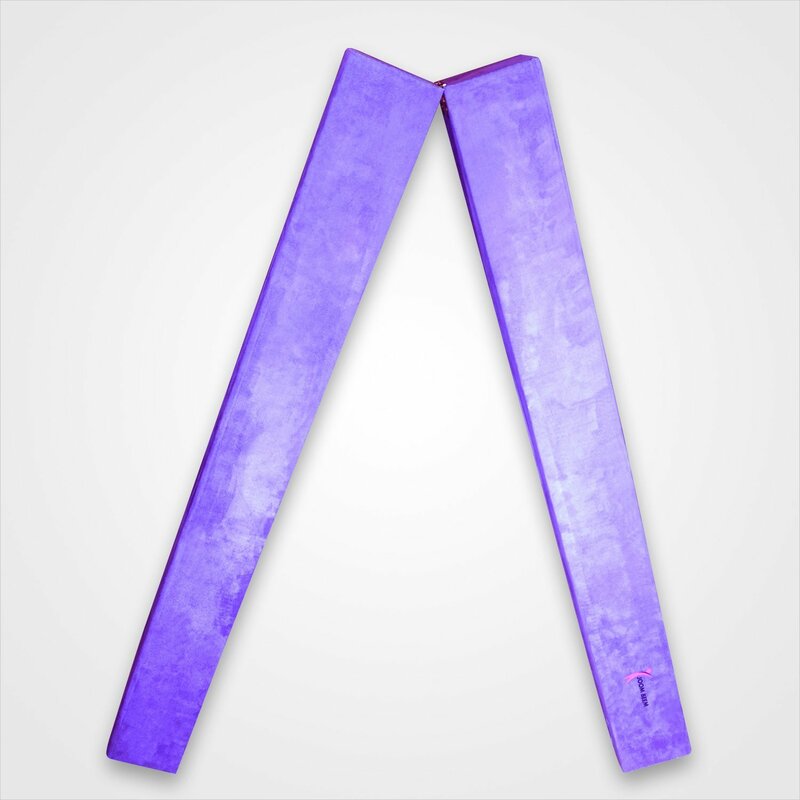 At 8 feet long x 3 inches high x 4 inches top width (with 6 inches floor width), this balance beam provides the correct work surface with just the right rigidity from its wood core and cushioning from its 3/8 inch foam padding. This folding beam has the same top cushioning found in our competition-grade beams. Its wood core and solid construction allows for a 275-pound weight limit. 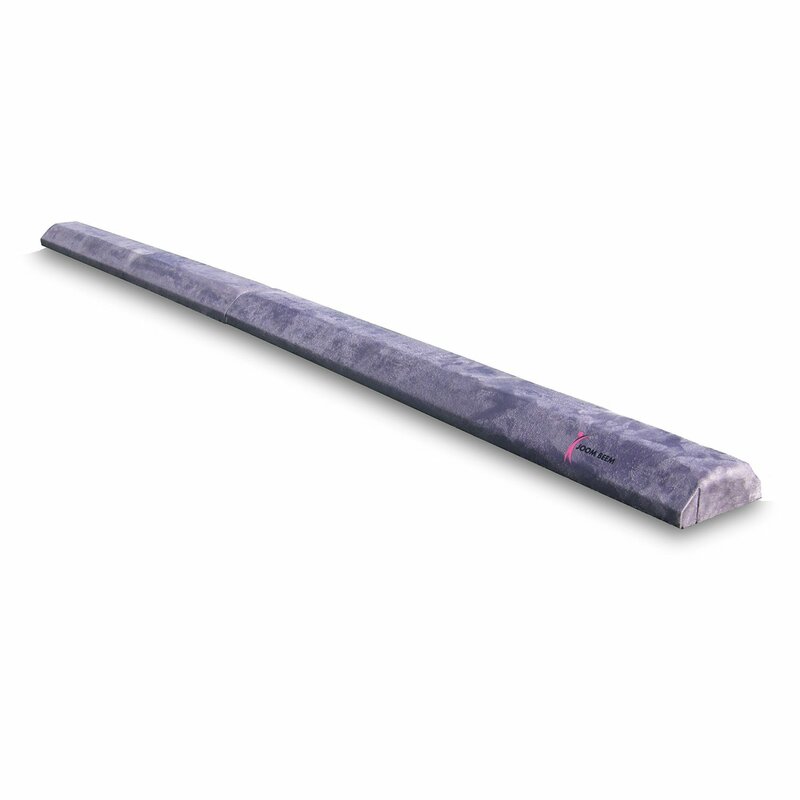 This balance beam is rounded out by its hardwearing, performance-grade, synthetic purple suede outer covering. 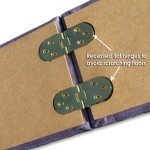 And we didn’t forget about the other practical considerations. 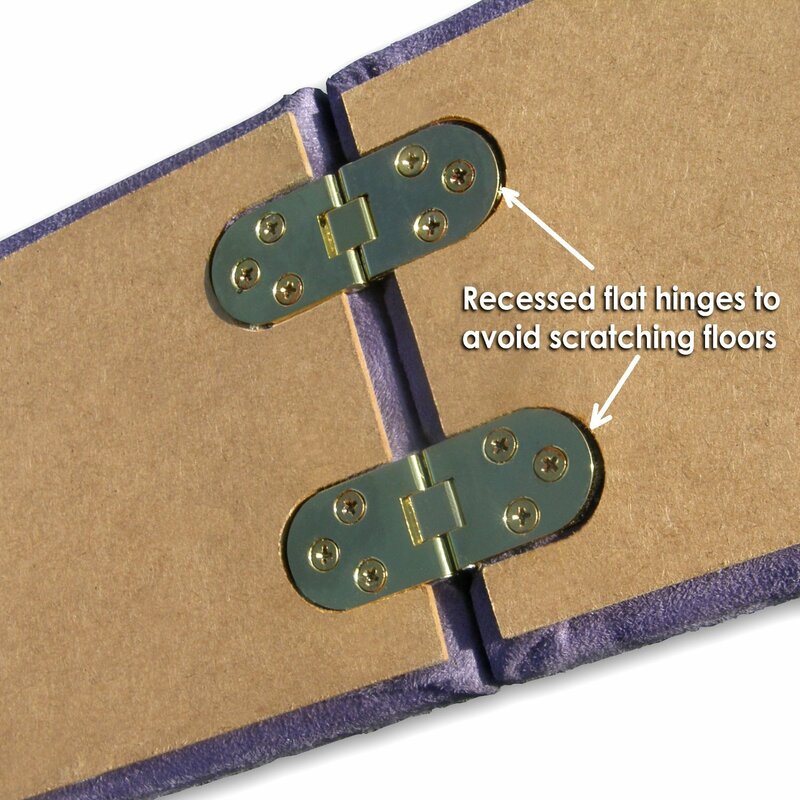 The Joom Beem 8-Foot Folding Balance Beam has double carry handles that fold under the beam when in use, and recessed hinges—important for keeping your floors from getting scratched, or rugs and mats from getting damaged—that similar beams lack. Its light 15-pound weight makes packing it up to keep under the bed or in a closet is easy. 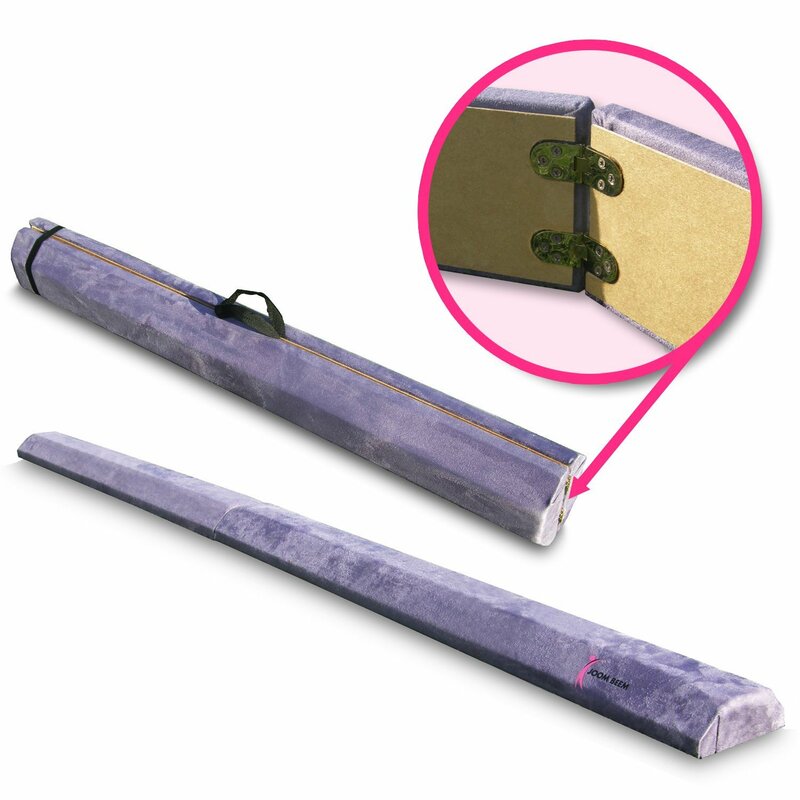 It conveniently folds into a 4-foot bundle that can fit in a car for hassle-free transport. 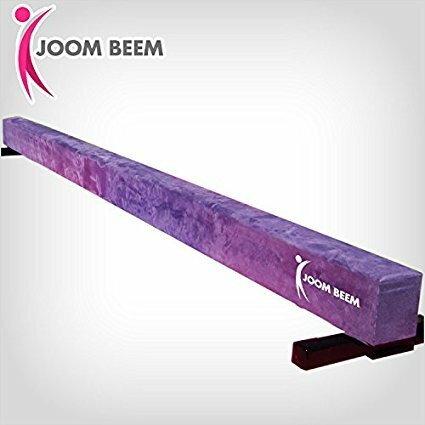 Overall, this Joom Beem 8-Ft Folding Balance Beam packs the best value against all other training beams on the market.